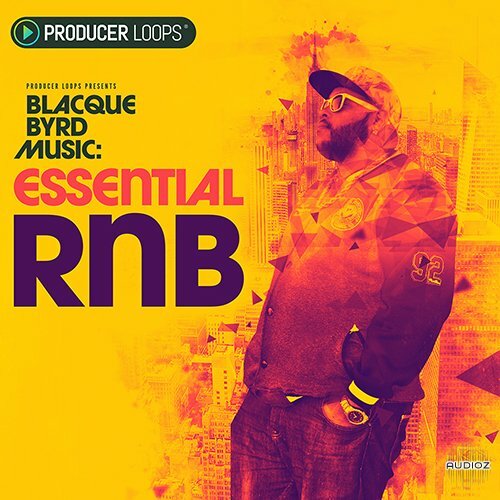 Blacque Byrd Music Essential RnB gives you instant access to the skills, secrets & techniques of a producer at the top of his game. Tracks by Bruno Mars, Britney Spears, T.I, Nicki Minaj, Lady Gaga & One Direction have all boasted Blacque Byrd's midas touch. His productions have even found their way into the Grammy Nomination pool. So, what are you waiting for? Fuel your DAW with these premium grade samples, straight from the studio of one of L.A's finest Urban Pop producers. Blacque Byrd's debut sample release contains five Construction Kits packed full of deep 808s, flurries of Trap hats, vocal fragments, chants, pianos, synths and lush keyboards and pads. Dripping with a smooth and sultry vibe, this cutting-edge collection perfectly blends old and new school vibes to deliver you instant inspiration for your next RnB hit. MIDI, one-shots and bonus loops are all included in this 700 MB+ library, making it a must-have for Urban and RnB producers who need to stay ahead of the game. 'Blacque Byrd Music Essential RnB' includes 13 MIDI files, allowing you to seamlessly mix your favourite synths and samplers with the sounds contained in the pack. Producer Loops Blacque Byrd Music Essential RnB MULTiFORMAT has been exclusively released on AudioZ by Fantastic who chose to ask not to post mirrors.